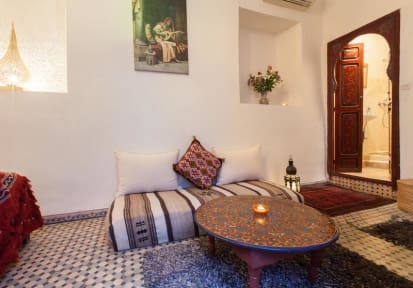 Riad Hna Ben Saleh i Marrakech, Marokko: Bestill nå! Riad Ben Saleh. 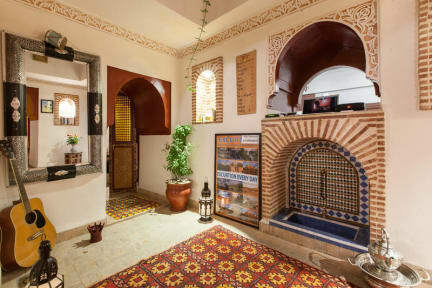 Situated in the heart of Marrakech medina ,The main square is only a few minutes walk away, but the location itself is very quiet, and very close to the main attractions, We like to provide guests with a map and directions and suggestions in arrival with a welcome tea. We have two beautiful terraces where you can have your Moroccan breakfast in the morning.